Young People and Alcohol is a practical and comprehensive reference for professionals and researchers in the field of alcohol misuse who work with people aged 12 to 25 years. 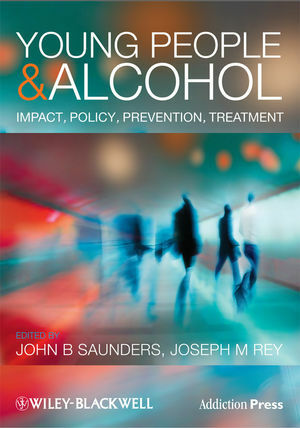 The book provides readers from a range of professional backgrounds with authoritative and up to date information about the effects of alcohol use in the young and, particularly, its management, with an emphasis on interventions whose effectiveness is supported by evidence. Written by an internationally renowned team of contributors, chapters span five key sections: The Phenomenon and Impact of Youth Drinking; Neurobiology; Prevention and Early Intervention; Assessment and Diagnosis; and Treatment. Focus is on treatment, relating the science to everyday clinical practice.